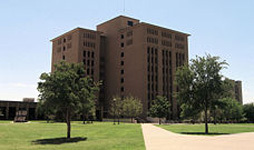 Jim Williamson studied architecture, art and English literature at Texas Tech. Williamson, who earned his bachelor's degree in architecture design at Texas Tech, has been at Cornell since 2001. 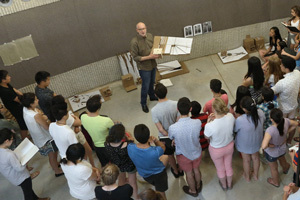 He has taught design and theory at numerous universities besides Cornell, including Harvard, the Rhode Island School of Design, Rice University, the Cooper Union for the Advancement of Science and Art, Columbia University, the University of Texas at Austin and the Georgia Institute of Technology. Williamson earned his master's degree in architecture at the Cranbrook Academy of Art and also studied the history and theory of architecture at the Architectural Association of London. 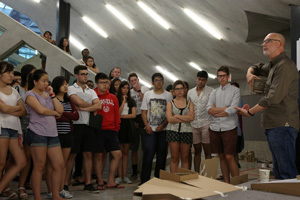 At Cornell, Williamson is the director of the undergraduate architecture program that is ranked No. 1 in the country and also served as the director of the graduate architecture program, coordinator of the freshman design sequence as well as developing foreign study programs in Latin America and the Caribbean that focus on architecture, landscape and urban design. 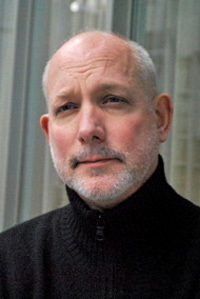 Williamson's work has been recognized through numerous awards. He earned first place at the Shinkenchiku Competition for Japan Architect in 1986, a design award from the Association of Collegiate Schools of Architecture in, two Graham Foundation grants, the Martin Dominguez Distinguished Teaching Award from the Cornell College of Architecture, Art and Planning in 2006 and a special commendation for teaching excellence from the Escuela de Arquitectura at the Universidad de Puerto Rico, where he held an invited professorship. Williamson's work and influence can be seen across the U.S. He worked with John Hejduk on construction of “The House of The Suicide and the House of The Mother of Suicide” in Atlanta and Prague. He assisted in the curation of the “Sanctuaries” exhibit on Hejduk's works at the Whitney Museum of American Art. He also is a consultant to the Hejduk estate on reconstruction of the “House” monument to Czech dissident and martyr Jan Palach in Jan Palach Square in Prague. Williamson recently co-edited “The Religious Imagination in Modern Contemporary Architecture: a Reader” with Renata Hejduk and is working on “The Suicide Masques: Atlanta/Prague/New York/Prague – Architecture and Urbanism in the Late Work of John Hejduk.” He also has had two essays published and another was included in the book “Surrealism and Architecture.” He also has published several journals, including Architectural Design: Games of Architecture, Japan Architect, Daedelus, Architecture & Urbanism, Kongsan (Space), Art Papers and the Journal of Architectural Education.